The new Ducktails album, Jersey Devil, drops on Friday via the artist's own New Images label. That it is something special will probably not be news to this guy's fans as those legions know the sort of indie-pop that's going to be on offer here. Matt Mondanile -- Ducktails -- got John Anderson (Girls, Sky Ferreira) to produce, compose a few pieces, and play some guitar. Back-up vocals were provided by Malcolm Perkins and Samira Winter, and John da Costa played drums. Chi Yoon Hae of South Korean band Parasol played bass. All that being said, Jersey Devil is really Mondanile's baby. Numbers like "Map To The Stars" and "Light A Candle" use Eighties New Wave textures in the service of indie-pop that is more of this century. Richly lyrical, cuts like "Keeper of the Garden" echo both earlier acts like O.M.D. and Nineties mainstays like Death Cab for Cutie. The effect is a distinctive one but Mondanile seems to have a knack for making this work without a lot of pretension. Elsewhere, "Solitary Star" and "Mannequin" are a bit more buoyant, percolating with rhythmic inspiration. Still, Mondanile and his crew are better when they let the lushness of the material take over, like on the closer "The Rising Sun" with its waves of keyboard figures undulating under the smooth vocals. Jersey Devil is simple, melodic pop of a unique sort. The closest comparison point I can offer is, maybe, stuff from East River Pipe or Durutti Column. 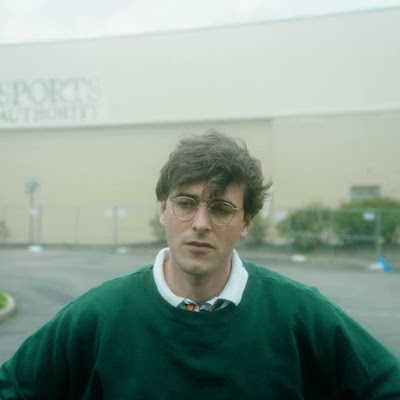 But whatever the strengths of those 2 formidable acts, Ducktails pursues other avenues, ones full of sharp New Wave hooks wrapped up in lo-fi packages, little bedsit symphonies, to borrow a phrase. Jersey Devil is out on Friday via the New Images label. Follow Ducktails via the band's official Facebook page.